Our students need to be able to understand the cycle of energy that occurs between the processes of photosynthesis and cellular respiration. Using the resources in this bundle will allow your students to explore, investigate, and learn about the processes of photosynthesis and cellular respiration? As teachers, we need to to know what our students understand or don't understand. We can use assessment to gather this important information. 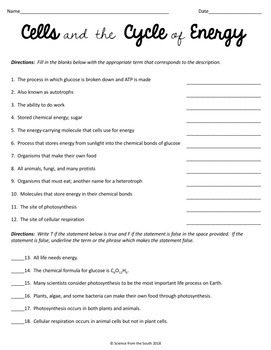 This worksheet is an assessment that you can use to assess your students' understanding of how energy is cycled through the processes of photosynthesis and cellular respiration. Use the resource and the answer key for student self-assessment or peer review. Or assign it as a quiz for a summative assessment. 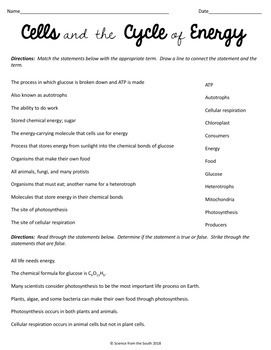 Cell Organelles Structure and Function Interactive Notebook Activity FREEBIE. 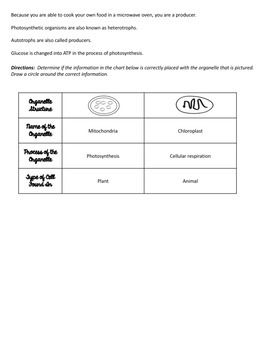 Cells Interactive Notebook and Graphic Organizers Bundle. 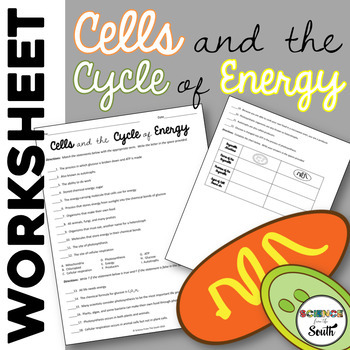 Cells Activities and Assessments Bundle.